Universal Robots is planning to showcase a range of new technologies and partnerships at ATX East, said to the largest annual design and manufacturing event on the US East Coast. 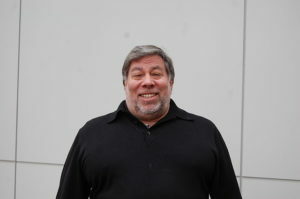 This year, the keynote speaker at the event will be Steve “Woz” Wozniak, co-founder of Apple and currently chief scientist at Primary Data. Attendees at UBM’s ATX East in New York City, June 13-15, will be greeted by three collaborative robots from Universal Robots at the expo entrance. Moving through pre-programmed cycles, the cobot arms equipped with monitors will feature videos of a wide variety of industrial tasks now handled by Universal Robots – from CNC machine tending to polishing, wire cutting, injection molding and pick and place applications. As in many of their real life installations, the cobots will be placed in a high-traffic area where they will operate with no safety guarding alongside people. On the expo floor, attendees can interact with the UR cobots at Universal Robots’ own booth #2529 at the ATX East section of the show where a UR5 robot arm will be showcased in a new demo featuring collision avoidance and real-time adaptive pick & place with UR partner Energid, a developer of software for robots and machine vision. The UR5 will pick widgets out of a feeder that moves around and is dynamically tracked by the vision-guided cobot. Using a wand, a person can interact with the collaborative robot and the robot will avoid the wand while attempting to reach the widget. “The ability for the robot to dodge the wand is an example of what we believe will be the next generation of collaborative robots,” says CEO of Energid Neil Tardella. “Soon, robots will be able to avoid collisions with people altogether rather than just stopping once a collision occurs. The Energid software is now also part of the rapidly expanding Universal Robots+ platform featuring plug and play products for the UR robot arms. In his presentation, “Getting the Best ROI out of a Collaborative Robot”, at the Smart Manufacturing Summit, area sales manager with Universal Robots Brian Dillman will present best practices for working hand in hand with cobots in fast payback scenarios. “I look forward to sharing how cobots deliver greater interaction in a meaningful and productive way while benefiting both the work environment and the bottom line,” says Dillman, who is also joining the panel, The Reality of What’s Possible with Collaborative Robots and What’s Still in the Works. Robotic Vision Technologies will be demonstrating their new single-camera 3D guidance application for UR robots. The demonstration will show a UR5 picking randomly placed parts off a conveyor and precisely placing them in a moveable tray, in both 3D and 2.5D. East will show MAX moving stainless steel rods into an induction heating coil where the rods will be heated to 600 °C in just seconds by an Ambrell EasyHeat induction heating system and then moved forward in the process. “An adaptation for this trade show demonstration could be preheating rods for hot heading or forging industrial fasteners, delivering an innovative induction heating solution designed specifically to maximize manufacturing throughput,” says Ambrell president, Tony Mazzullo. Another repetitive task now automated by UR robots is passport stamping; attendees visiting the UR booth, participating in the show’s “Passport Tour”, can get their passport stamped by a cobot and then entered into a daily prize drawing. At booth #2644, Ready Robotics will be showcasing the TaskMate system, a fully-integrated turn- key solution which incorporates the Universal Robots collaborative robot line. The TaskMate R3, utilizing a UR3 arm, will show the system flexibility through a series of dynamic interactive demonstrations. “Ready Robotics is working to change the way customers approach robotic automation by providing a fully plug-and-play platform architecture allowing customers to easily build whatever automation system they need for a given application,” says Ben Gibbs, CEO of Ready Robotics. Dillman adds: “We see a collaborative robot as a tool on demand as needed – one that can quickly be transitioned between a wide variety of automated tasks.